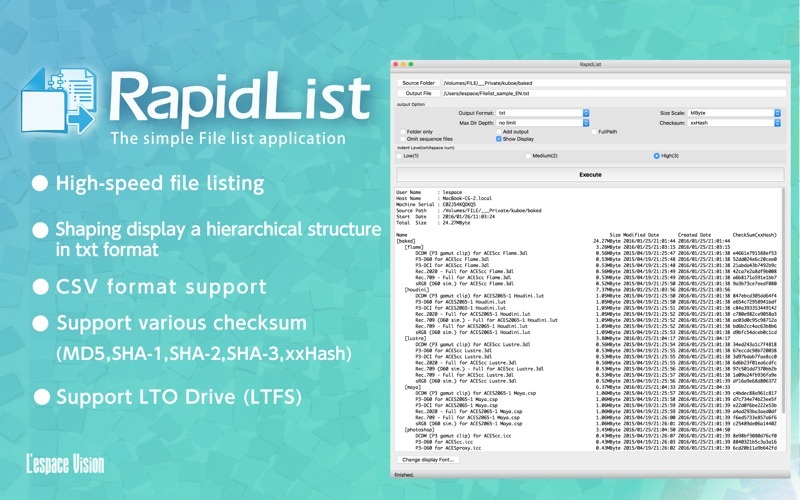 RapidList is simple file listing software. 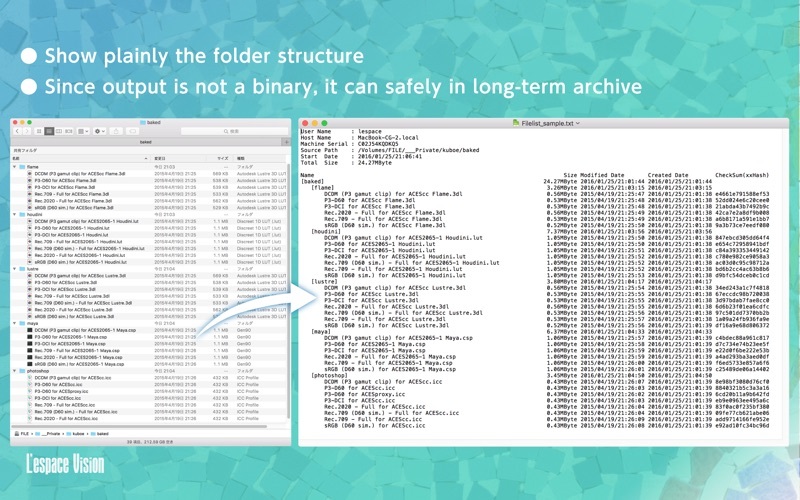 RapidList possible hash generation, convenient to delivery work and archive list. 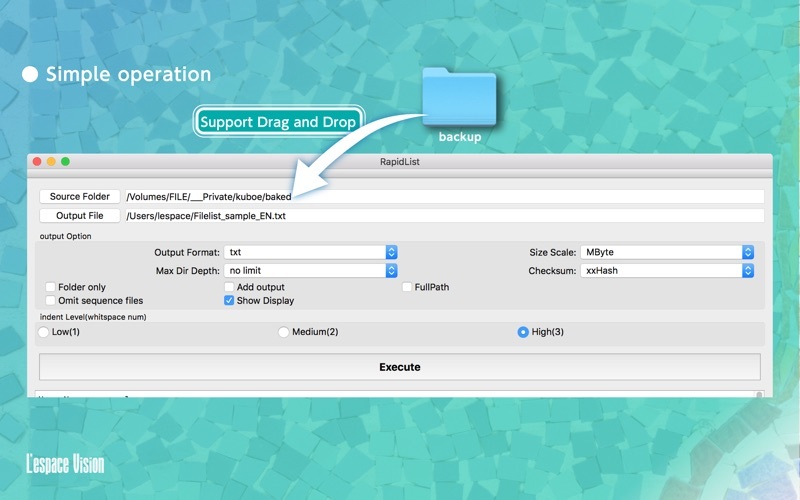 RapidList does not open any file. list creation process is fast. 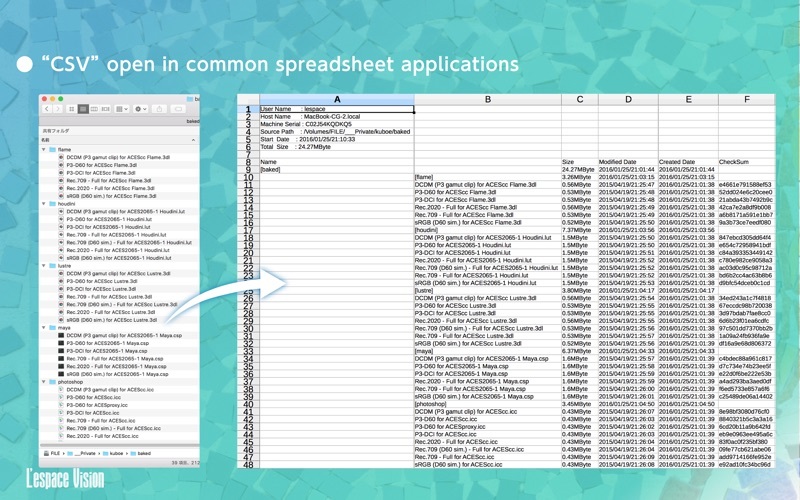 Ideal for listing the contents of LTFS. 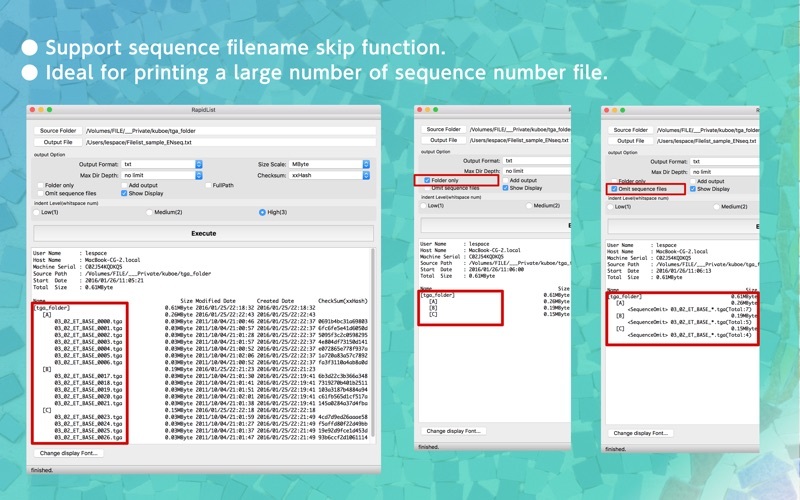 you can reduce the display of large amounts of sequence files.